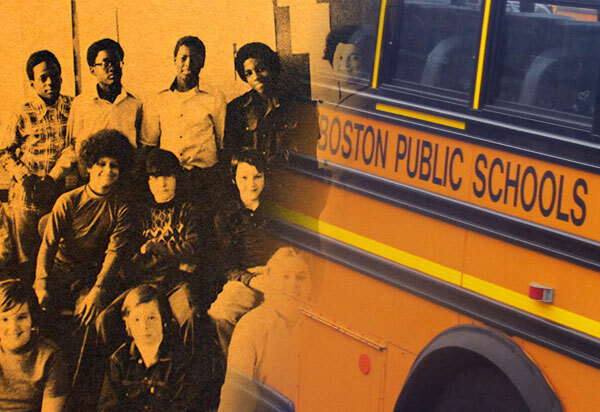 In 1974, kids in the Boston Public Schools were facing forced busing and desegregation. 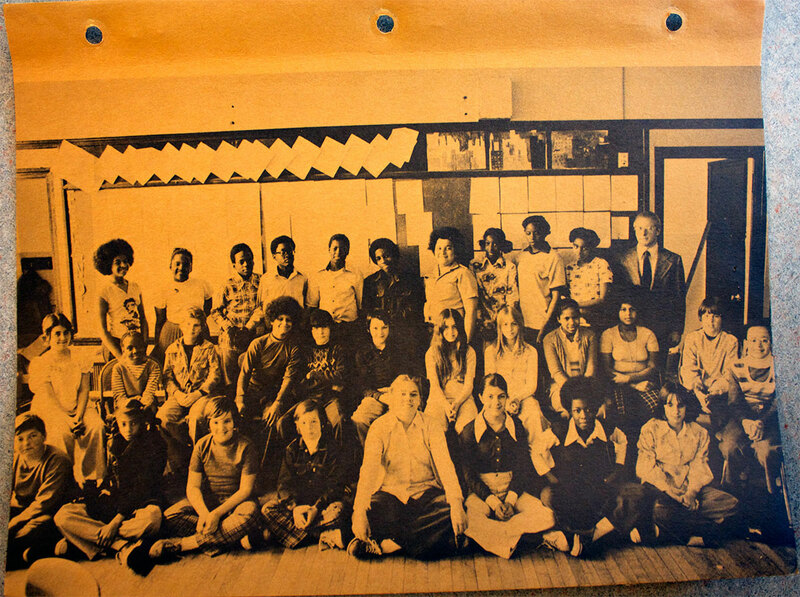 Here are a few students from the sixth grade class of 1974 from Oliver Wendell Holmes Middle School. Their entire class photo can be seen below, with essays about their school experiences that year. What Happened To The Sixth Graders Who Wrote Essays About Busing? In the summer of 2014, the Schuster Institute brought archival material and selected reporting to our Senior Fellow and WGBH Senior Investigative Reporter Phillip Martin. The result is a Schuster Institute partnership with Martin and WGBH Boston Public Radio and a yearlong multimedia examination of the impact of busing and desegregation in Boston after 40 years. This website offers more detail, context, and history. The Schuster Institute reporting team included Associate Editor Neena Pathak and Senior Fellow Maria Stenzel. Other contributors are acknowledged here. Among many violent incidents was the stabbing of Michael Faith in South Boston High School. Following his death, students protested forced desegregation using racial epithets, as caught on camera by Time/CNN for their article "Education: Southie Boils Over," Time Magazine in partnership with CNN. Author and Schuster Institute Consulting Editor Michael Patrick MacDonald reads from his book "All Souls: A Family Story from Southie." In this chapter, a grade-school-age MacDonald encounters South Boston's outraged sense of his Irish American enclave being occupied, like Belfast, by "the rich English." The iconic Old Colony Housing Project is was where Michael Patrick MacDonald grew up. Across the street is the liquor store that was headquarters for James "Whitey" Bulger's organized crime ring. "THE AFRICAN AMERICAN STRUGGLE for desegregation," observes Gary Orfield, co-director at the Harvard Civil Rights Project and among the nation's leading experts on desegregation, "did not arise because anyone believed that there was something magical about sitting next to whites in a classroom. It was, however, based on a belief that the dominant group would keep control of the most successful schools and that the only way to get full range of opportunities for a minority child was to get access to those schools." For the fortieth anniversary of busing in Boston, the Schuster Institute partnered with WGBH Boston Public Radio to explore desegregation in Boston, Massachusetts and Jackson, Mississippi. The partnership launched with a yearlong multimedia project on September 8, 2014, with historical documents newly discovered in Mayor Kevin White's papers and new reporting across radio, TV, and digital. Research assistance has been provided by the Boston Busing and Desegregation Project. Original content was produced in conjunction with Brandeis Sociology Professor David Cunningham and Brandeis students in the Civil Rights and Educational Equity in the U.S. Justice Brandeis Semester. What was it like to go to school during desegregation in two cities that were prominent in that fight: Boston, Massachusetts and Jackson, Mississippi, one in the north, one in the south? Both cities violently resisted one of the most important Supreme Court decisions of the 20th century: Brown v. Board of Education,* which declared that keeping the races separated in school violated the Constitution’s promise of equal protection under the law. 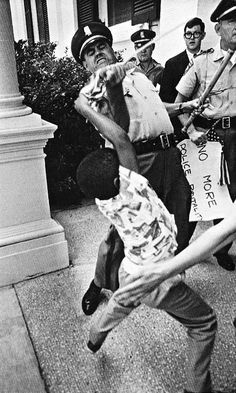 Both gave us painfully iconic images: from Boston, a 1976 photograph by Stanley Forman of a white man nearly spearing a black lawyer with an American flag on City Hall Plaza; from Jackson, a 1965 photograph by Matt Heron of a white police officer wresting an American flag from a five-year-old African American boy’s hands. In Boston, white adults rioted and threw rocks at schoolbuses bearing black children. In Jackson, four years earlier, white adults had pulled their children from the public schools and enrolled them in new “private” all-white academies that hijacked public land, school materials, and funds. All that is public record. But what was happening inside the schools, away from the news cameras? What was the more intimate, more daily experience of students, teachers, principals, guidance counselors, and others who lived through desegregation? "Echoes of Boston's Busing Crisis"
Schuster Institute Senior Contributing Editor and New York Times bestselling author, Michael Patrick MacDonald, grew up in South Boston during the era of forced busing. 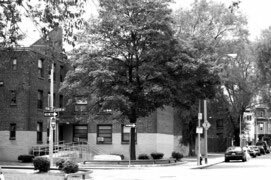 Home was the Old Colony Housing Project just across the street from James "Whitey" Bulger's alleged liquor-store headquarters on Old Colony Ave.
"Busing was the best thing that ever happened to Whitey Bulger," writes MacDonald in "Whitey Bulger, Boston's Busing, and Southie's Lost Generation," an original essay for our website. Civil rights activists and academic researchers remind us that mixing the races was never the goal; rather, equal funding and equal opportunity were. As long as black and white students were in separate schools, black schools were starved for funds, materials, teachers, and building repairs. By putting white and black students in the same classrooms, activists hoped to make that that funding discrepancy impossible. In the end, in both cities, segregation triumphed -- in practice, if not in law. In Boston, “white flight” accelerated: many families moved to the suburbs (with black families denied mortgages at a much higher rate than white families). Others moved their children into parochial schools, leaving Boston’s schools overwhelmingly black, Hispanic and poor. In Jackson, Mississippi, public schools today are overwhelmingly black. Boston’s busing riots shocked the nation. On national television, Americans watched adults in two of Boston’s poor white neighborhoods throwing stones at buses full of terrified black children as they were bused into previously all-white schools under federal court order. "Liberal" Boston was exposed as a hotbed of racial hatred as virulent as what had been seen in the South. But the sixth graders at the Oliver Wendell Holmes school--based in a black section of Dorchester and integrated without violence--wrote essays about their year inside this ﻿social experiment. These essays have never before been publicly seen. 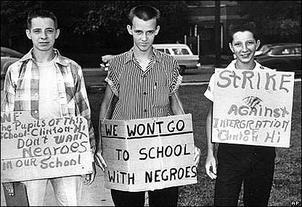 ﻿IN THE BREAKTHROUGH 1954 decision Brown vs. Board of Education, the United States Supreme Court declared that there is no such thing as “separate but equal,” and that therefore legally segregated schools violated the Fourteenth Amendment, which guaranteed equality under law. Brown was the first major crack in the Jim Crow laws that, for a century after slavery, continued to enforce the subordination of black people, especially in the former Confederate states. While Brown was decided in the 1950s, actually dismantling the laws and rules that kept black students out of previously all-white schools throughout the legally segregated South took another fifteen years--and not until 1974 did a federal judge apply it to schools in the North, in Boston’s Morgan v. Hennigan.